 Alaric Securities caters to the needs of professional and retail traders. We serve the active trader community as well as many types of institutions such as high frequency hedge funds, algo funds, asset managers, and trading groups. Alaric works directly with the Prime Brokers and clearing firms and passes onto the customer the savings of cutting the intermediary. Every professional trader knows that liquidity and quality of order routing and execution are much more than the size of the commission. Our clients rely on the ability to directly seek and route to deep liquidity venues beyond direct exchanges. We can provide virtually any liquidity route. Everyone who trades actively especially in the Opening and Closing Auctions of the NYSE knows the value of Floor Broker routing. These routes give you exceptional competitive advantage when placing orders directly with the Market Maker instead of sending them to the exchange. Having servers directly at the NYSE and NASDAQ server farms, guarantees nanoseconds in execution speed. In addition, Alaric Securities maintains servers in Frankfurt, Germany which plug in directly to the Atlantic pipes connecting with New York, guaranteeing fast order submissions from outside the US. We pride ourselves with the best-in-industry ETB availability. Every day we update our ETB and HTB lists and in most cases you can have over 90% of the entire US listed stocks available for immediate short. If a stock is not immediately available, or on the HTB list, a quick email or a phone call to our Stock Loan desk can guarantee you that hard to find stock you want to short. Alaric Securities works with multiple Stock Loan desks across the US and locates are often a click away.